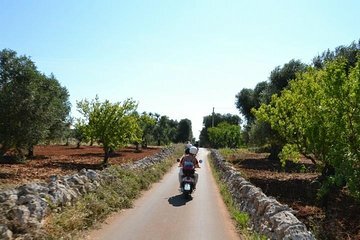 Discover the highlights of Puglia’s Itria Valley region (famous for its rugged landscape and conical trulli houses) and travel like a true Italian on this half-day vespa tour. Meet your guide at your area accommodation, and set off to three of Puglia’s most scenic hill towns: Locorotondo, Martina Franca, and Ostuni. Admire the sights, learn more about the area’s history, and stop for a traditional snack at a family-run farm.